There’s trouble in digital paradise. It’s hard to believe that in 2019, with all the resources and tools available to marketers, that one of the largest pain points for business big and small is accurately tracking digital marketing spend. According to a study by Kantar Millward Brown, a whopping 81% of marketers acknowledge not being able to properly measure ROI across various platforms and devices. That means these marketers are wasting at least some good money on budget line items that bring in no return on investment. The crucial question, then, is how can anyone accurately track marketing spend with laser-like precision? How can we glean those deep, actionable insights? Because that’s the only solution to this long-gestating problem. The truth is, there are a number of factors preventing you from accurately measuring and tracking marketing spend. Below, I’ll look at the various solutions that you can implement today to set your marketing department right and start gleaning the data you need to boost ROI. One common reason marketers often can’t effectively track marketing spend is because there’s no hierarchical structure in place, or any budget organization for that matter. This issue can only snowball and create further mayhem if your business has a number of individual marketing budgets for different products, services, and initiatives. How you organize your budget depends on both your operations and spend culture. An enterprise technology company, for example, would likely organize their budget in accordance to their various software product lines, while a B2B manufacturer might find it more natural to organize by vendor. To help you determine what budget structure in particular would be right for your marketing operations, you need a deeper understanding of your spend culture as a whole. Prior to designing your budget structure, determining how your organization approaches the people, processes and tools involved with the limits, controls and visibility of your budgets is necessary. For example, a company of an Administrative spend culture will have procedures and standards are clearly documented through various approval stages and steps, with all employees aware of exact processes and tools for making purchase requests. In contrast, a Democratic spend culture has each department set their own expectations and procedures, forgoing any overarching process. Businesses typically settle on a budget organizational system that combines elements of all these factors. Regardless of which you choose, a useful tip is to have your budget hierarchy mimic that of your marketing department. In other words, if there are different divisions within your department, structure the budget so that each group knows exactly how the funds are allocated, and thus can keep better tabs on what they’re spending. In today’s digital landscape there are more touchpoints than ever before. Unless you’re accounting for every interaction across all channels in which customers connect with your brand, you will never adequately track marketing spend. The way to get ahead of this problem is by creating an attribution model that accounts for every sale across every channel. You can do this easily in Google Analytics and you can customize it using the program’s model comparison tool. Creating an attribution model is going to not only allow you to track the precise success of your various marketing initiatives (email, social media, PPC, SEO, etc.) but it’s going to allow you to compare all of them side by side in order to glean which ones are bearing the ripest fruit. Generate business-ready purchase orders in minutes. Comparing total emails sent to total impressions. This will help you gauge whether your email strategy is resulting in more prospects or fewer. Dividing the total number of opened emails by the total number of delivered emails. This will help you glean customer engagement. Considering monthly sales volume resulting from marketing emails. You’ll also want to take into account organic website traffic. How many unique visitors are visiting your site each month? How much time are they spending on the site and how many transactions resulted from this traffic? Most important, you’ll want to calculate the monthly changes for each of the above metrics. This may seem like an oxymoron, but it is indeed possible to set firm budget rules while allowing freedom to be flexible, experiment, and innovate. You just need to account for this flexibility in the budget. The most effective method is to adhere to a proportional budget rule where the majority of your allocated funds go towards concrete marketing initiatives, and you guard the remainder until such time unforeseen circumstances arise that call for new funding. Now, many business leaders and CEOs out there advise on a 70:30 budget rule, with the minority going towards the aforementioned unforeseen expenses. Some take that number even lower, allocating a mere 20% of the total marketing budget to allow for experimentation, tweaks, and improvisation. You need to decide which ratio is right for your marketing operation. However, the most important thing is to determine a budget ratio rule, set it, and adhere to it. There are few tools that will help you adhere to the above tips more effectively than a solid budget template. A good template is going to better help you align your budget with your marketing goals. An effective tool is going to account for cost allocation, ex-expense tracking, invoice matching, approval structure, and more. By organizing everything in a template you can ensure you only spend money on initiatives that will further your marketing goals. The ultimate goal here is to move away from a reactive marketing budget, where you’re throwing money at any and every problem that arises, and instead create a proactive, structured budget. Doing so will account for unforeseen challenges while illuminating which efforts are successful, thus giving your marketers the roadmap they need to do their jobs effectively and boost ROI in the process. Scott is the CEO of Elevation Marketing. 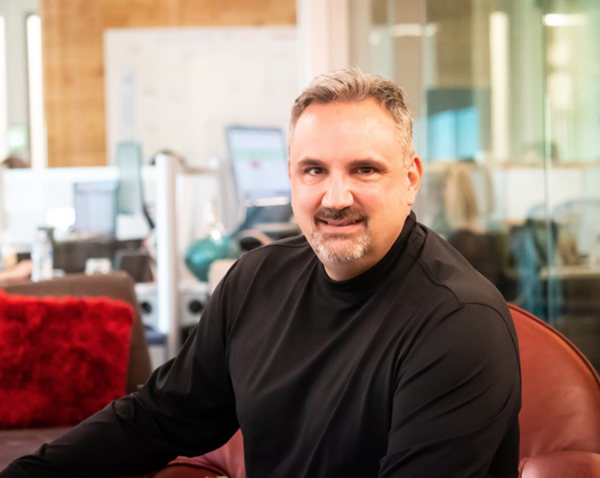 He is a balanced risk-taker with nearly three decades of experience starting and growing advertising and marketing agencies. His business acumen is matched with a drive to build creative teams that thrive in open, collaborative work environments. Scott seeks out the best creative individuals, not only to provide quality service to clients, but to also help shape the future direction of Elevation Marketing. He remains dedicated to helping his talented teams develop unique and effective integrated marketing programs that help employees realize their full potential while serving up impressive business wins for clients.